Work made by the artists of the Neighborhood Center of the Arts will be featured in Art Works Gallery’s front window October 28 through November 8. A reception will be held Sunday November 3 from 2-4 p.m. at the gallery located at 113 Mill Street in downtown Grass Valley. Come and explore the art at Art Works Gallery during the reception and be entered to win a piece of art from the Neighborhood Center of the Arts (NCA). The free raffle will run every 30 minutes during the reception. Art Works Gallery will donate 10 percent of its sales during the reception to the NCA. NCA provides opportunities for adults with developmental disabilities to grow to the best of their ability through the arts and community integration. Each day up to fifty NCA artists work in the Center’s studio to create weavings, ceramics, paintings, drawings, woodworking, jewelry, and computer arts. Neighborhood Center of the Arts is located at 200 Litton Drive #212, Grass Valley 95945, (530) 272-7287. Fifty percent of the proceeds from the sale of works by NCA artists will go to Neighborhood Center of the Arts to support its programs; the other 50 percent goes to the artists who created the work. “We are delighted to sponsor this event with Neighborhood Center of the Arts for the fourth year. Art Works Gallery strives to find ways to contribute to the community,” says AWG president Gail Lipson. 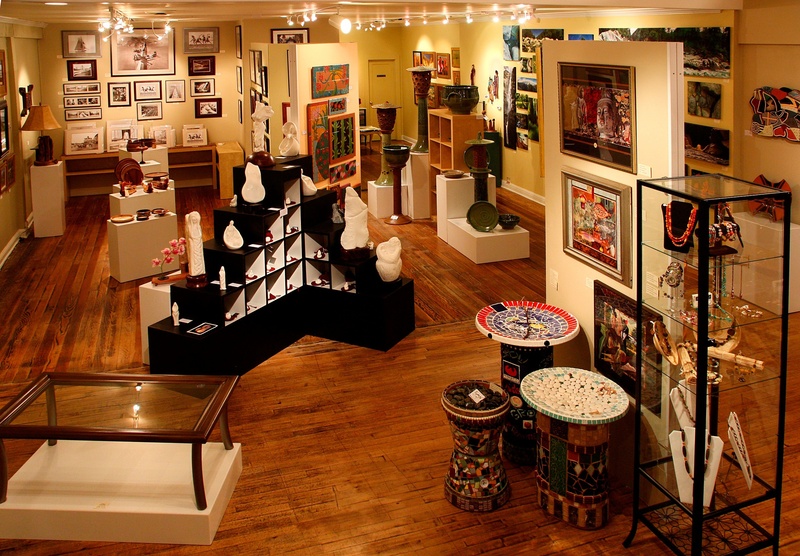 Art Works Gallery exhibits a high-quality collection of artwork in jewelry, furniture, paintings, photography, ceramics, fiber arts, woodworking, glass blowing, mixed media and sculpture. 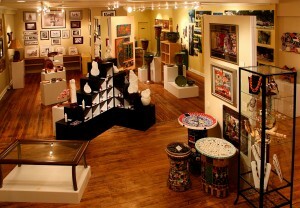 The Art Works Gallery is open daily and located at 113 Mill Street in Grass Valley. For more information about Art Works Gallery, go to www.artworksgalleryco-op.com.